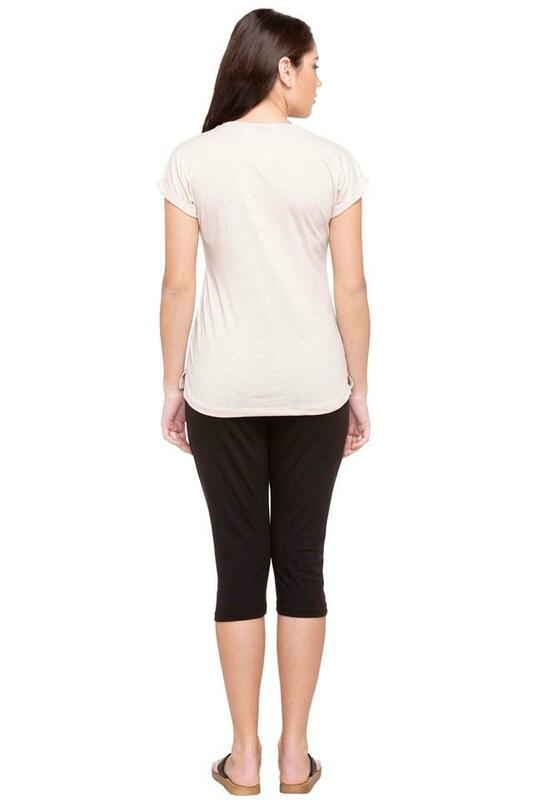 Enjoy an uninterrupted sleep all night long by slipping into this capris & top set by Sweet Dreams. Made from a good quality fabric, this capris also ensures maximum breathability. Besides, it features a solid pattern that enhance its look. 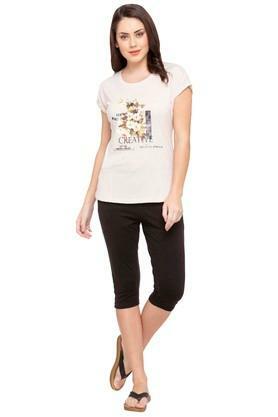 Flaunt chic styling and get an exceptional fit with this capris & top set. You can club it with a top of your choice to look best.